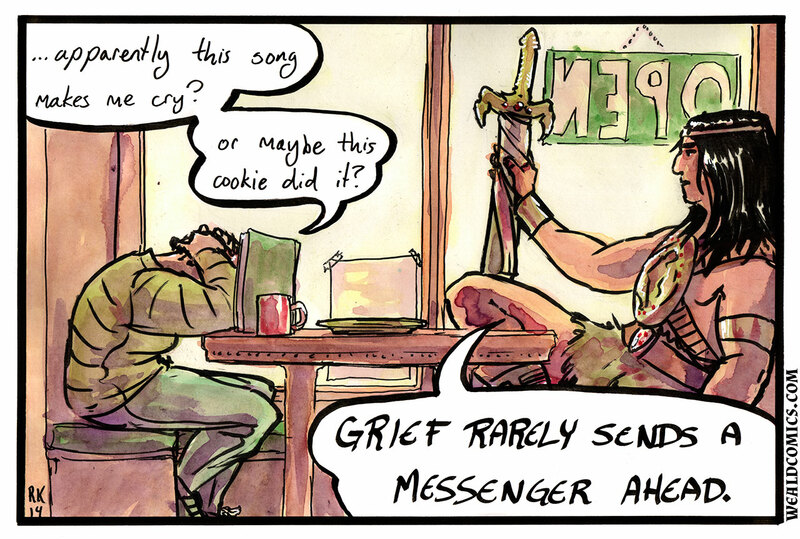 With this comic, By Crom! finishes. 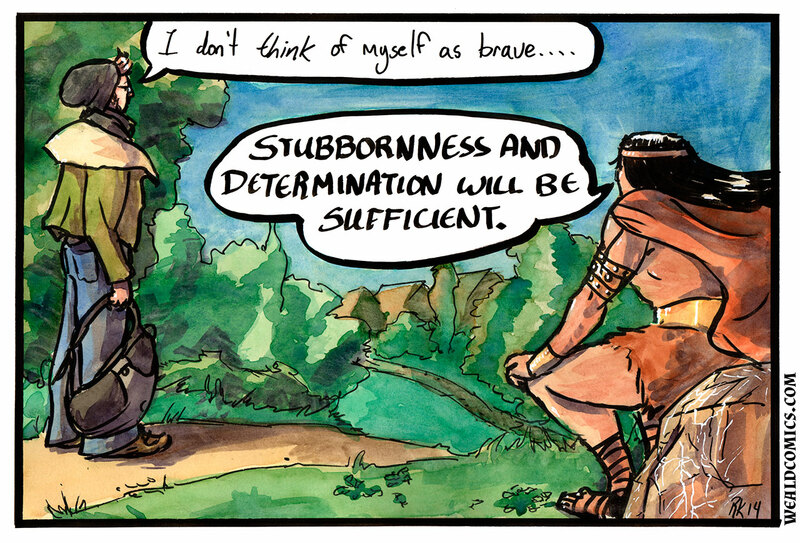 Thank you all for your cromulent support for two and a half years with Conan! If you just can’t live without comics, good news! You’re on the right site! As this series ends, two ongoing epics have just started – my story Orin and the Dead Man’s Sword, and Kris Sayer’s Tatterhood: Unwanted Visitors. 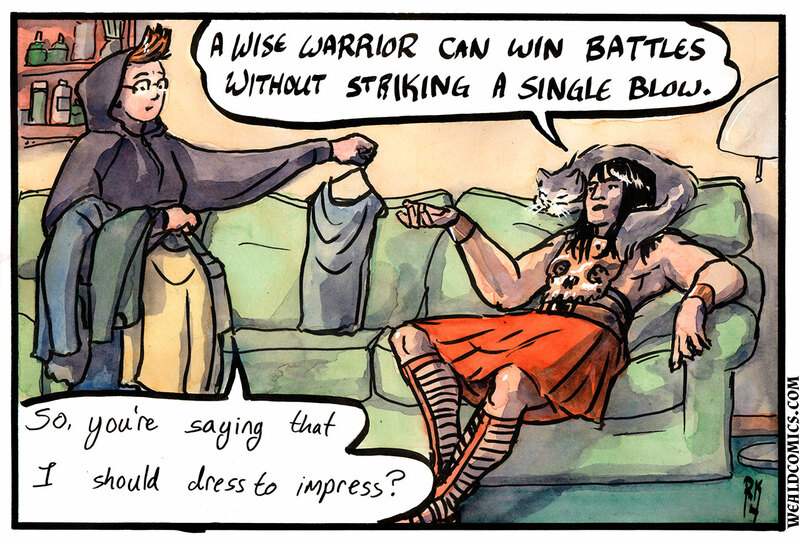 Please let these fill the void of combat, magic, and machismo my autobio comic has left in your heart.